Featuring Liza :: A Blogger’s Quilt Festival Quilter! Mark your calendars for the next installment of the Blogger’s Quilt Festival! It’s coming May 15-29, I’ll share more in the coming weeks, but get your quilts ready now. 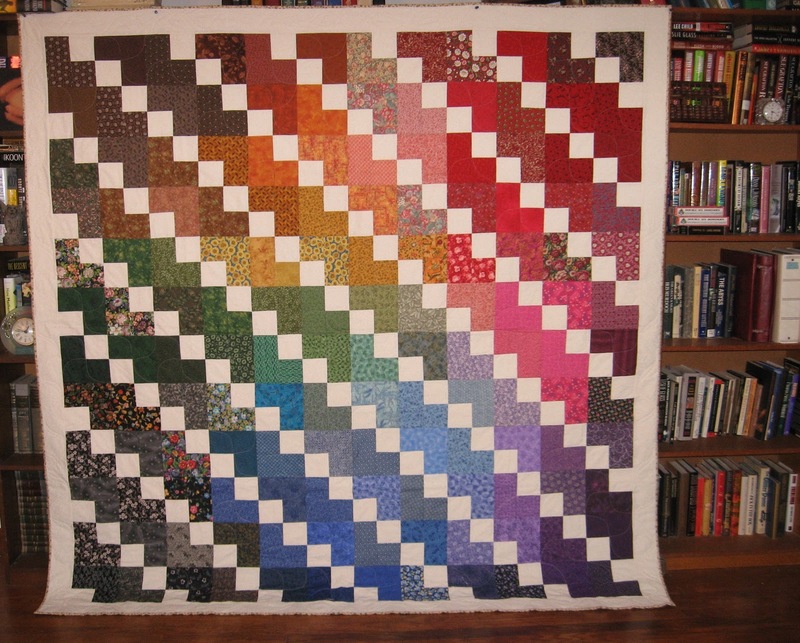 Today’s featured quilter is Liza from Quiltifications! 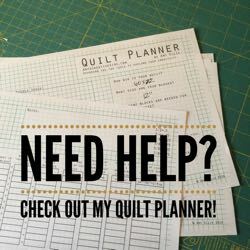 Liza has a great reply for why she quilts – I hope you enjoy getting to know her and her quilts! 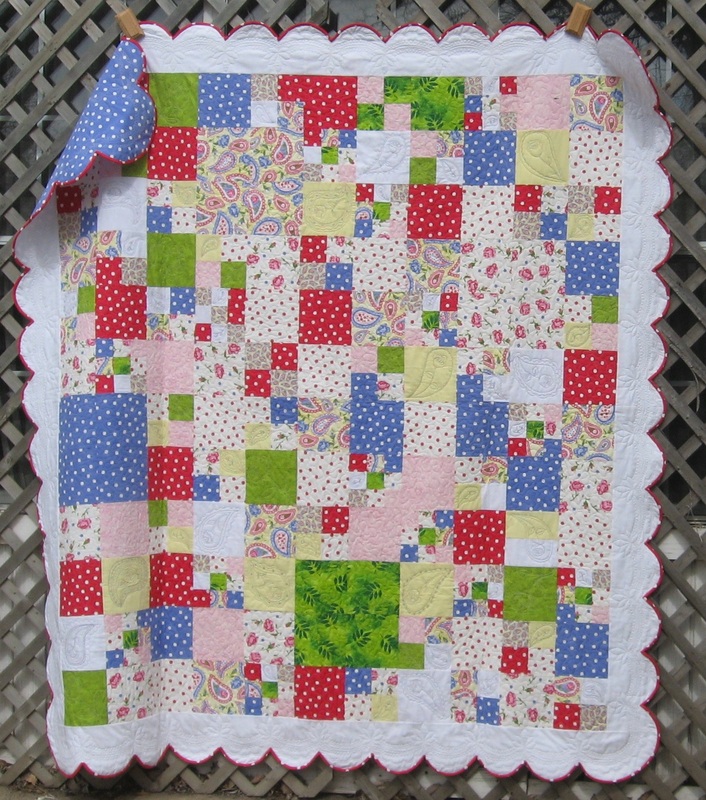 My first quilt was made of doublemint gum wrappers in 1969 and it was made for my sister’s barbie doll. It was more woven than pieced, but between us we managed to imagine enough detail to make it work. The first real, useable bed quilt I gave as a gift was made in 1982. 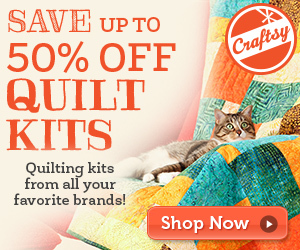 I guess that means I’ve been quilting for about 35 years, but yikes. That makes me seem really old. I quilt because it fills several needs for me at once. It recycles the old and unloved garments that pile up in anyone’s house; it allows me to express myself without the pressure of drawing or painting which I am not capable of; and it gives me an opportunity to make something useful for someone else. I love giving quilts as gifts because they are like a zip lock bag for hugs! The inspiration for my fall 2014 quilt festival quilt, “wrong way with bubbles” (pictured above) was from several sources. I scrapbook, and have recently seen lots of interesting border strips made from chevrons. It struck me that an asymmetrically placed chevron would look good on a modern quilt, and the fabrics I used came from a charm pack and jelly roll that really impressed me. The colors reminded me of trips to the Fort Worth botanical gardens’ japanese garden. There are places where you can step across their pond/creek on stones. Koi always gather around those stones in case you’ve brought something for them to eat. It’s visually stunning to look down at your feet and see all these huge orange and white fish just looking right back up at you. The quilted bubbles seemed to blend in with that idea. I raised several girls and the remnants from their dresses and shorts and toys figured prominently in my early quilts, but now that they’re grown I don’t sew much except for quilting. I have been blogging since 2006, quilting since 1982, making sawdust since 1991, and reading from the cradle to the grave (probably). I totally agree with ‘always prewash’ and for several reasons too.